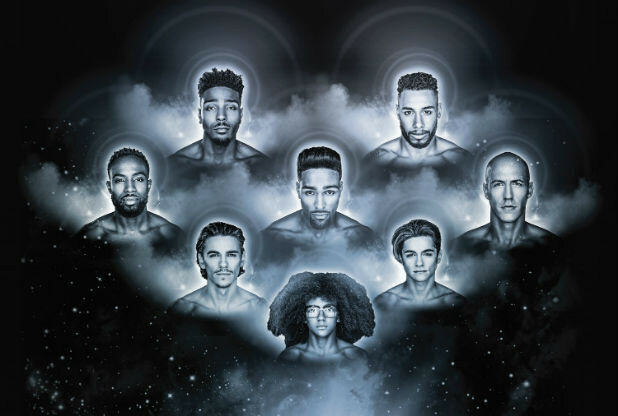 Diversity are heading on tour next year with ‘Genisis’, a brand new show and will bring it to Glasgow’s SSE Hydro Arena next year! Diversity will bring their new tour ‘Genisis’ to Glasgow’s SSE Hydro on the 11th of April 2017. Since taking the UK by storm in 2009’s Britain’s Got Talent, Diversity have toured the UK numerous times. In 2017 Diversity will be heading to the Glasgow SSE Hydro Arena as part of their new tour: ‘Genisis’. The reality show champions have announced their seventh arena tour, titled Genisis, which will arrive into Glasgow on April 11th in 2017. The dance troupe have had six sell out UK tours in total, including last year’s show – Up Close and Personal. Next year’s offering will conclude part of their superhero fantasy theme and follows their 2014 tour, Limitless: The Reboot. After their previous hugely successful UK tours, ‘Diversitoy’s: Bringing A Toy Story To Life’, ‘Digitized – Trapped In The Game’, ‘Limitless’ and ‘Limitless – The Reboot’, ‘Up Close And Personal’, 2017’s tour ‘Genisis’ will be just as energetic and as always will feature some very special guests! Diversity now consists of eight members from East London and the Essex area, with their leader and choreographer Ashley Banjo being the main face of the dance troupe. Incorporating several genres of music from classical to hip-hop, their awesome eye-catching routines won the hearts of the nation. Nearly 20 million people in the UK, and much of the world were glued to their television screens to see Diversity overcome the odds and sweep to victory, in what was the most watched TV programme in these shores for over six years. Since winning Britain’s Got Talent, Diversity have won numerous awards. Ashley Banjo is now a household name after the success of his Sky 1 shows Got To Dance and Ashley Banjo’s Secret Street Crew. Perri is becoming a bit of a household name himself after winning the second series of Sky 1’s ‘Splash’, and both he and Jordan were UK hosts for the Nickelodeon Kids’ Choice Awards. Previous Diversity tours have seen them delivering exceptional entertainment with stand out reviews. Normally incorporating several genres of music from classical to hip-hop, their diverse eye-catching routines won the hearts of the nation. So far they’ve performed live to millions of people across the world. Tickets will sell quickly for their 2017 show in Glasgow, so make sure you get yours soon! The comments below are in regards to previous Diversity tours. Susan sings yes but the sheer physical talent, balance, timing, coordination, flexibility and REAL TALENT that has brought lovers of dance from some of the poorest areas of London together is now champion of Britain. I would even dare to say the world. My goodness, I saw all their performances and they almost instintively change music, placement, dance moves and coordinated movement like cameleons. Susan has her place yes but this dance group would do the world a favour to export itself globally. Bravo and great work developing raw talent. Hope it spreads throughout the country. My children would love to join in the hard work and fun. You call this talent??? The real talent of the show was Susan Boyle. I wouldn’t waste my time viewing this trash dance team if it were free. I got my tickets. Cant wait – it will be brilliant.